Steve Robinson - Author: Amazon top 100 bestseller! - The Last Queen of England. Amazon top 100 bestseller! - The Last Queen of England. 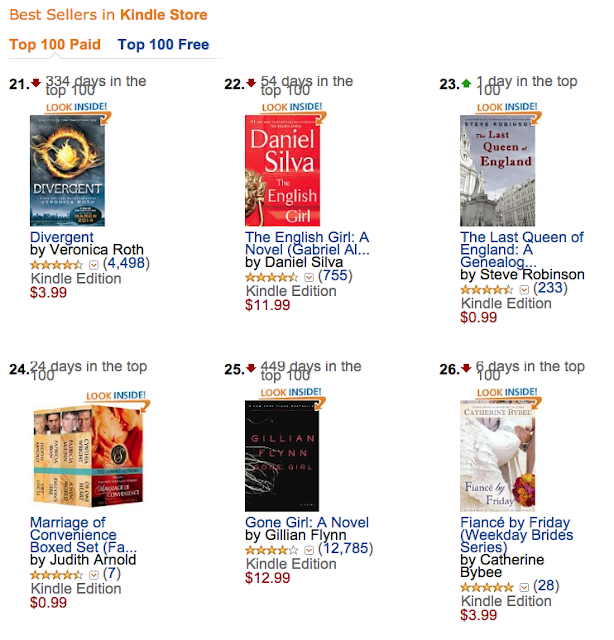 I wasn't sure if my success using Bookbub a couple of months ago for my promotion of To the Grave could be repeated with The Last Queen of England, but it seems the power of Bookbub to reach readers is still going strong as the third book in my series is currently at No.23 in Amazon.com's paid chart. I had thought perhaps that the novelty might wear off and their effectiveness wane, but so far that clearly doesn't seem to be the case. They clearly have a good advertising model working and long may it last. Something else I'm doing for this promo, and something I've never done before, is to make ALL the books in my Jefferson Tayte series 79p or .99c at the same time. That's just started today and probably won't last long. The idea is to attract as many readers as possible while my third book is enjoying the bestseller limelight. So far, that's working well as sales for all books have risen significantly. Now if only there was an effective equivalent to Bookbub for the UK market, although Bookbub is effectively worldwide, so I guess most of us Brits don't respond to mail-shot advertising in the same way.